There’s the Bermuda Triangle, there’s the Black Hole, and then readers, then there’s the Chocolate Drawer. It has been said that in the Chocolate Drawer, a number of pieces of chocolate of various types and sizes have disappeared under mysterious circumstances. The Chocolate Drawer can be found in a part of the world that few dare to travel to for fear that they will never return and readers, that part of the world, is My Refrigerator. For those of you daring enough to try to navigate the Chocolate Drawer, be warned and plan your trip carefully. You probably want to avoid visiting during, or immediately after Halloween, Christmas, and Valentine’s Day. 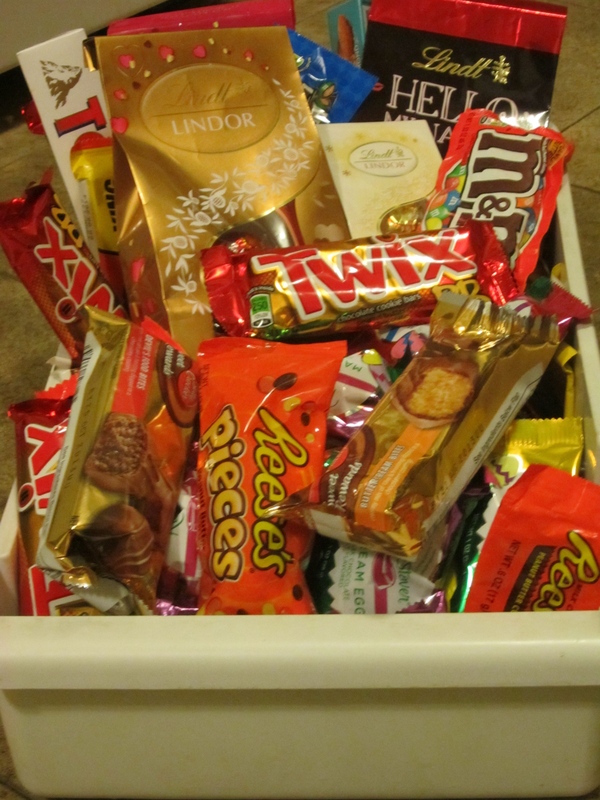 These are times when the chocolate drawer is particularly treacherous and may even overflow to other regions of the refrigerator that can also be dangerous for completely different reasons. These regions include The Fruit Drawer, The Refrigerator Door, and even The Freezer. They say there is an evil ogre who keeps guard over the Chocolate Drawer. She is known by several monikers including ‘She Who Guards the Fridge Evilly’, ‘She Who Holds the Key to the Chocolate Drawer’, ‘Satan’s Guardian of All That Is Chocolate’, and ‘Rock N’ Roll Supermom’. (what??) Also, beware her two winged monkeys who can’t seem to keep their grubby little hands out of the drawer, and can become vicious if provoked. Very few have visited the Chocolate Drawer and returned. While popular culture has attributed various disappearances, supernatural activity, and even the presence of extraterrestrial beings to the Chocolate Drawer, scientific evidence can only support the occasional staining of clothing, chocolate beards and mustaches, and of course, mild to severe stomach aches. If you’re going to die of something, it may as well be chocolate.